Want the enjoyment of Dungeons and Dragons but someone forgot to bring along their 20-sided dice and their character sheet? Or maybe you just never bothered learning how to play? Well if you have an Xbox 360 or PlayStation 3 handy, you can enjoy this retro side-scrolling beat-em-up with your group of ragtag adventurers instead. 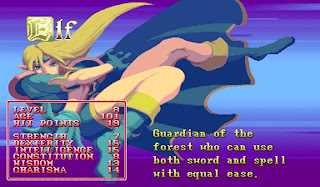 The games both follow a gang of your typical D&D classes and races on a quest to defeat the Arch Lich Deimos in Tower of Doom and then the party travel to defeat the sorceress Synn in Shadow over Mystara. While the plots themselves are typical fantasy Good vs Evil, the plus points here come from the depth and effort that the developers put in to give the game a true role-playing feel. 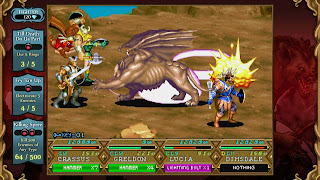 Unlike most arcade games of the past, the two games featured in the Chronicles of Mystara bundle actually have a decent amount of story-telling, ranging from bosses that will actually speak to the character upon meeting them and many conversations with other characters will decide the location you will visit next. Without this attention to detail and freedom to progress through the story in the way that you want, the game wouldn't have deserved to have the Dungeons and Dragons title, but the choices feel authentic and this kind of exploration we take for granted in games nowadays were not often found back in 1993. 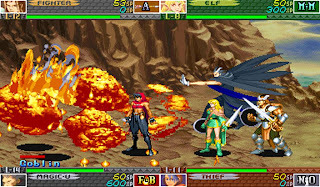 Up to 4 people can co-operatively play through the games and, like with any co-op beat-em-up, Multiplayer is by far the most enjoyable way to play. Tower of Doom is the simpler game out of the two due to its basic mechanics and only 4 classes to choose from which are Fighter, Dwarf, Elf and Cleric. The diversity between the classes are definitely what makes playing through the games more interesting than the average beat-em-up, where the characters differences are simply a colour scheme or other aesthetic features. Each class has its own use, so I decided to try out the Cleric, one of the more interesting classes mainly due to his Turn Undead spell which would instantly kill all skeletons and ghouls on screen. The Elf can also cast spells, while Dwarf and the Fighter focused on melee attacks. The action is non-stop and toward the later sections of the game, it definitely helps to use your head as traps and levers made aspects a bit more difficulty compared to just running at, and attacking anything that moves. Just as one says, "One has mad skils". The sequel, Shadow over Mystara is the more complex and refined game which was released in 1996. The choices between spells and abilities are now far more advanced and with a couple of new classes too, including Magic User and Thief. Everything found in the previous game is again found here except with a lot more features such as each class having their own attacking or movement abilities. The Magic User, for example, can perform a small teleport which will help him escape enemy attacks while the acrobatic thief can double jump, detect traps and even backstab enemies. 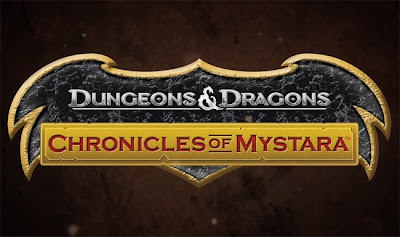 There are a lot of features outside of the games as well, specially made for Chronicles of Mystara, including a whole bunch of in-game achievements which will reward you with points that you can use to unlock extra game-modes, concept art and trivia. The visuals in Tower of Doom are very colourful and remind me of a less-detailed but more solid Golden Axe. 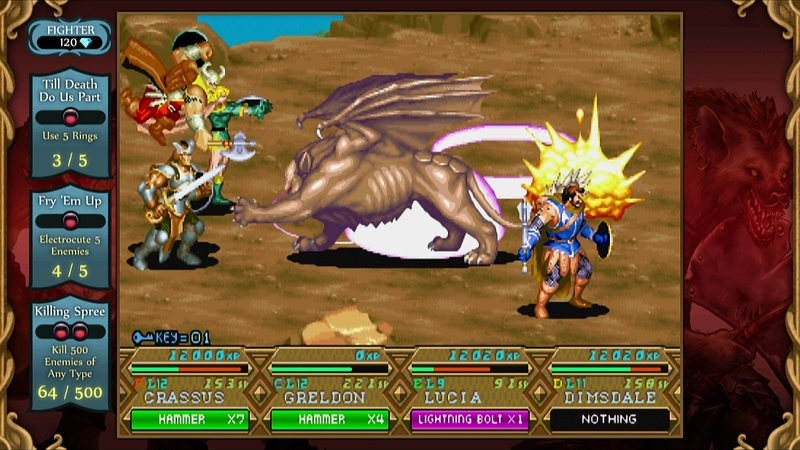 The characters and enemies are large and well-drawn, and you can tell which enemy represents which classic Dungeons and Dragons monster easily. 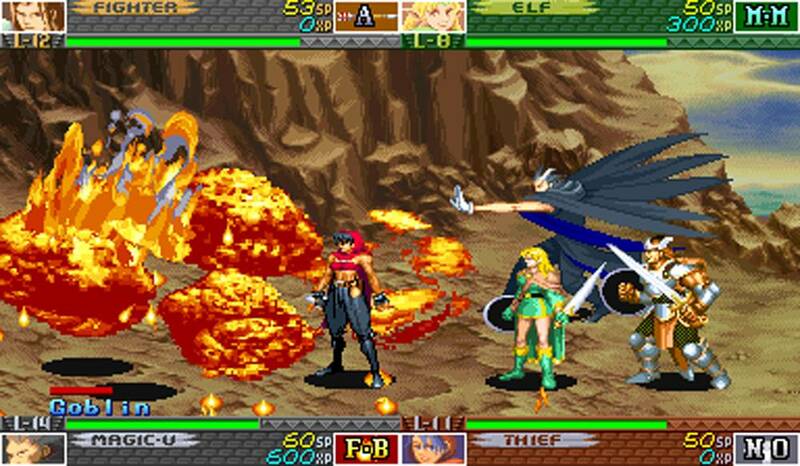 The more detailed Shadow over Mystara is even more vibrant and, for some reason, gives off more of an anime style look rather than the classic Western style the first game seemed to have gone for. Even though the cartoony look is much less expected from a game claiming to be Dungeons and Dragons, it still fits the theme well and is more appealing to look at than its predecessor, so it's not something that could be criticised in all fairness. One problem I found when playing the game with friends is the spells. While they are cool to look at the first few times, the spell-casting animations cause every player to freeze which doesn't just slow down the action for everyone, it stops it completely for a few seconds. In an action game, you can imagine how irritating this would be for the rest of the players, particularly the Fighter and Dwarf who never need to cast themselves. The spell casters interrupting gameplay simply by using their magic attacks while melee players are trying to attack is funny at first but soon becomes quite a nuisance. The music isn't memorable nor is it bad, it simply fits the theme of the game very well and fortunately doesn't get annoying. There is also some voice acting which is quite advanced for a game of it's time. Chronicles of Mystara is one of the best co-op sidescrolling beat-em-up games you've probably never played, with its downfall being the length of it. Although there is some replayability value, myself and two friends completed both games in under an hour and a half. If you do decide to buy the game, be prepared for a short but sweet hack and slash with a difference.